Nope, no comic updates, this time. But don’t worry, they’re on their way. For those who don’t know portuguese, allow me to explain. 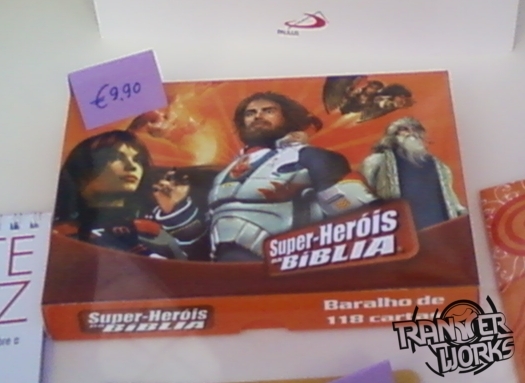 What’s on the box roughly translates as “Bible superheroes”. It’s a card-based game, and… if you ask me, that’s about as much as I wish and NEED to know. I found that thing on a store that’s financed by the church. This entry was posted on Monday, September 27th, 2010 at 11:06 PM and is filed under News. You can follow any responses to this entry through the RSS 2.0 feed. You can leave a response, or trackback from your own site.